In the super fast-paced world of the modern urbanites, 24/7 availability and instant feedback are requisites to the 21st century lifestyle. Richmonde Hotel recognizes the need to keep up with the busy schedule of its market and at the same time offer them easy and affordable opportunities to relax and bond with loved ones. With the revamp of its website, www.richmondehotels.com.ph, Richmonde Hotel presents not only the best rates online, but also gives browsers further price cuts if they book using their smart phones. Now there’s no need to scour the internet to get the best deals online. Simply look for the “Book & Save On-the-Go” rates in the Reservations page of Richmonde Hotel Ortigas, Eastwood Richmonde Hotel, and Richmonde Hotel Iloilo and get awesome discounts on the best available rates! What’s more, you get instant confirmation whenever you book online at Richmonde’s official sites. This mobile-exclusive treat is available all year round, any time, and any where you are. It’s Richmonde’s way of making online bookings quick, simple, and economical so the ultra active millennial or GenXer can easily plan their much-deserved break. The website www.richmonehotels.com.ph houses Richmonde Hotels & Resorts’ (RHR) three Richmonde Hotels: the pioneering businessman’s hotel in Ortigas Center, Richmonde Hotel Ortigas; the sole hotel in the first mixed-use CyberPark development in the metro, Eastwood Richmonde Hotel; and the recently opened Richmonde Hotel Iloilo, which is the initial venture of the brand outside Metro Manila. Log on to Richmonde’s official site for the latest news updates, irresistible promotions, and exclusive hotel deals. The Richmonde brand is managed by Prestige Hotels & Resorts, Inc., an affiliate company of real estate giant Megaworld Corporation. Studies have shown that multi-tasking is actually counterproductive and that the key to any winning endeavor is focus. At Richmonde Hotel Ortigas, corporate affairs are always designed for success because clients can concentrate on the bigger picture, like perfecting that presentation, clinching that sought-after speaker, or filling the guest list, while the hotel’s efficient and professional Banquet Team takes care of the “little things” that matter. 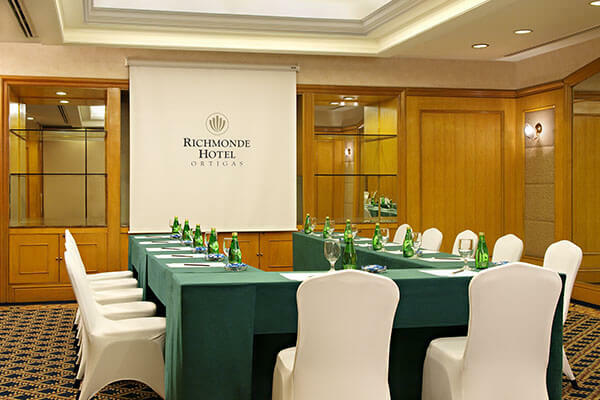 From its strategic address and well-equipped function rooms, to its sumptuous food offerings and impeccable personal service, Richmonde Hotel Ortigas provides all the essentials for a successful executive forum. And with its latest Conference Packages, you get easy options with great value for your money, plus flexibility so your unique requirements can be addressed in Richmonde’s distinct, personal way. Get to choose from an array of delectable menus for snacks and lunch which may be served plated or as a buffet. Also included in the Conference Packages are flowing coffee/tea for AM/PM snacks, one round of iced tea for lunch, meeting amenities, and WiFi access. Live-in seminars, training sessions or conferences may also be accommodated with room and banquet arrangements custom-made to fit your specific needs. So go ahead and take care of your business while we handle everything else that you need to make your event a success. For your inquiries and bookings, please call 638-7777 extension 3915 (Banquet Sales) or 689-8410, or send an email to rhobanquets@richmondehotel.com.ph. 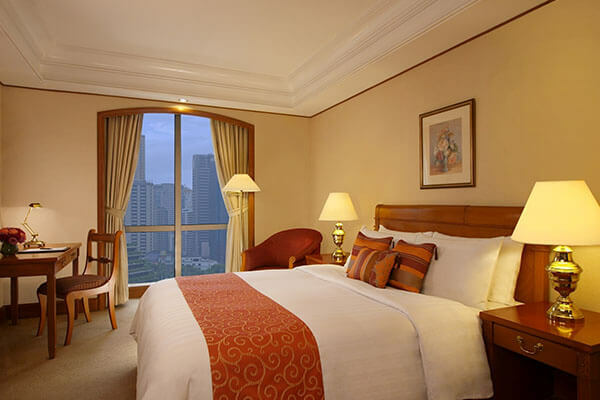 Richmonde Hotel Ortigas is located at 21 San Miguel Avenue, Ortigas Center, Pasig City. For more information, log on to www.richmondehotels.com.ph. For the freshest updates on hotel promotions, connect at www.facebook.com/RichmondeHotelOrtigas, www.twitter.com/Richmonde_RHO, and www.instagram.com.Richmonde_RHO. Supporting this progress is Richmonde Hotel Iloilo which is poised to be the hotel of choice of local and international travelers looking for sophisticated lodging at par with international hotel standards. 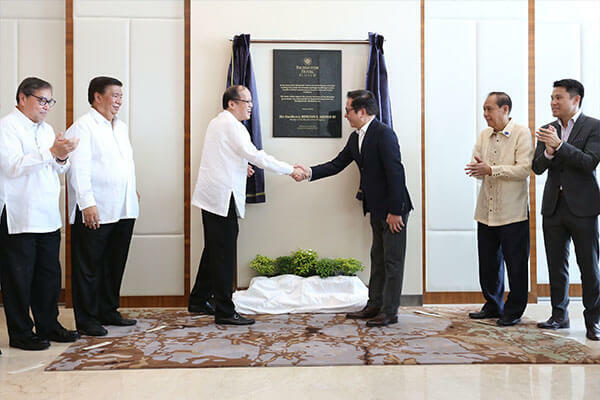 In recognition of Richmonde’s espousal to enrich the city’s tourism initiatives, no less than His Excellency, President Benigno S. Aquino III, led the inauguration of Richmonde Hotel Iloilo. Held recently together with the ceremonial launch of Iloilo Business Park and the inauguration of the Iloilo Convention Center, the hotel’s opening culminated with the unveiling of the inaugural marker at the hotel lobby by President Aquino together with esteemed government officials, Senate President Franklin M. Drilon, Iloilo Governor Arthur D. Defensor, Sr., Iloilo City Mayor Jed Patrick E. Mabilog, Iloilo Representative Jerry Treñas and Department of Tourism Secretary Ramon R. Jimenez, Jr.; Megaworld Chairman Dr. Andrew L. Tan, Megaworld First Vice President and Commercial Division Head Kevin L. Tan, Megaworld Chief Operating Officer Lourdes T. Gutierrez; and Richmonde Hotel Iloilo’s Managing Director Carmen C. Fernando and Resident Manager Natalie U. Lim. The honorable visitors were also given a tour of the hotel’s facilities such as the guest rooms, restaurants, and pool area. 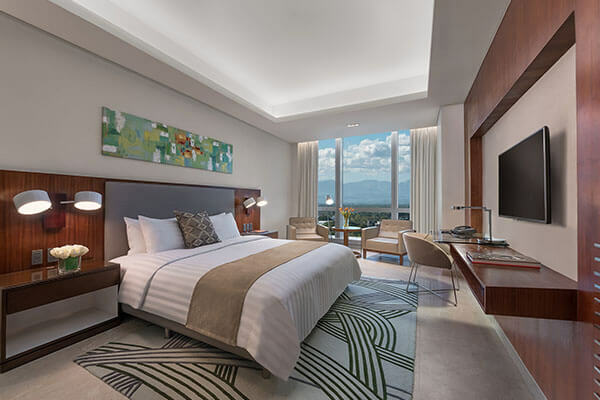 Richmonde Hotel Iloilo is the third property of Megaworld’s Richmonde brand which is managed by Prestige Hotels & Resorts, Inc. (PHRI), a subsidiary of Megaworld Corporation. Richmonde Hotels’ first branch can be found in Ortigas Center in Pasig City and the second is located in Eastwood City in Quezon City. Located at the heart of Iloilo Business Park, Richmonde Hotel Iloilo is already catering to the needs of local and foreign tourists alike, as well as traveling business executives, and most recently, delegates of the 2015 APEC Summit. Equipped with well-appointed and spacious guest rooms, first-class amenities, 24-hour auxiliary services, and gracious and efficient Hotel staff, Richmonde Hotel Iloilo is rapidly becoming Iloilo’s frontrunner in providing five-star service at reasonable rates. The hotel was also recently recognized by the 2015 Philippine Property Awards as “Highly Commended for Best Hotel Interior Design”. As the Richmonde Hotel brand continues to grow steadily around the nation, it is just fitting to have an address in cyberspace with a name that aptly represents one of the country’s first all Filipino-owned, managed and employed hotel group. The website www.richmonehotels.com.ph houses Richmonde Hotels & Resorts’ (RHR) three Richmonde Hotels: the pioneering businessman’s hotel in Pasig City, Richmonde Hotel Ortigas; the sole hotel in the first mixed-use CyberPark development in the metro, Eastwood Richmonde Hotel; and the recently opened Richmonde Hotel Iloilo, which is the initial venture of the brand outside Metro Manila. Managed by Prestige Hotels & Resorts, Inc., an affiliate company of real estate giant Megaworld Corporation, RHR aims to enhance its connectivity with its guests by creating a site that has a more elegant and easily navigable layout; offers quick links to interact directly with the hotel via the Contact Us page or social networking sites; and most importantly, provides instant confirmation and guaranteed best room rates and packages online. Visit the cyber home of Richmonde Hotels and Resorts and log on to www.richmondehotels.com.ph for the latest news updates, irresistible promotions, and exclusive deals of Richmonde Hotel! The pastry counters of Richmonde Hotel’s Lobby Café in Ortigas Center, The Lounge in Eastwood City and The Granary in Iloilo City, have been a favorite go-to place for the sugar fix of the many sweet-toothed office workers and residents in their respective areas. Offering decadent and freshly baked breads, cakes, and light snacks, these quaint cafés boast of delightful menu selections with sizeable servings and full flavors for an unbeatable great value for money experience right in their nifty little gourmet corners. There are a number of “must try” items but Richmonde’s signature pastries are tried and tested “stand-outs”. Hailed as one of the best desserts in the metro by Philippine Daily Inquirer, the Richmonde Chocolate Cake is packed with chocolate-y goodness and provides a charming paradox of rich, super-moist, velvety textures with a light, not-too-sweet taste. Chocolate ganache layers, chocolate icing, chocolate chip toppings, and Richmonde’s secret recipe have produced the ultimate cake chocaholics. 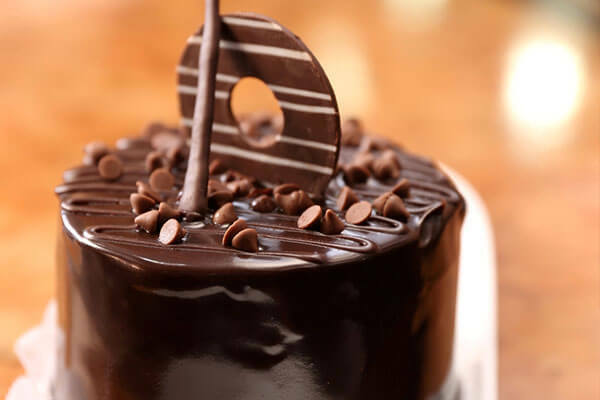 Each bite of this luscious cake explodes with chocolate splendor on your taste buds that will keep you diving in for more. Those with a little more self-control will be glad to know that the Richmonde Chocolate Cake stays perfect at any temperature so they can keep it for the next day’s dessert or midnight snack. 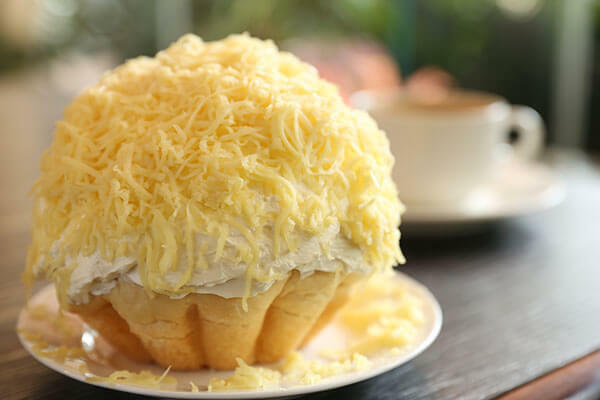 Another signature item of the hotels is its oversized Richmonde Ensaymada which overflows with tasty salty-sweet flavors. Blending the perfect harmony of soft bread, a heaping layer of light butter cream, and generous toppings of grated cheese, this classic Filipino delicacy is ideally enjoyed with a hot cup of cocoa or espresso. Whether plain, ube-flavored or topped with salted egg, Richmonde’s take on this local favorite is always a sure winner. Aside from these utterly divine signatures, Eastwood Richmonde Hotel’s The Lounge and Richmonde Hotel Ortigas’ Lobby Cafe also offer other mouthwatering pastries and delicacies that are baked to perfection. The Lounge’s Bannoffee Pie, Blueberry Cheesecake and Choco Chip Banana Bread; the Lobby Cafe’s Nutty Fudge, Pistachio Cream Cheese Bread, Banana Walnut Bread and the extra-large Chocolate Cream Puff ; and The Granary’s Ohana Bread, English Butter Cake, and Banana Cream Tart, hit home with distinct flavors you will crave for again and again. 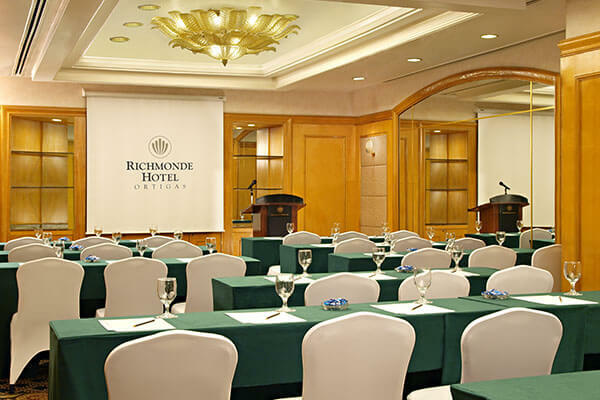 Richmonde Hotel Ortigas is located at 21 San Miguel Avenue, Ortigas Center, Pasig City. 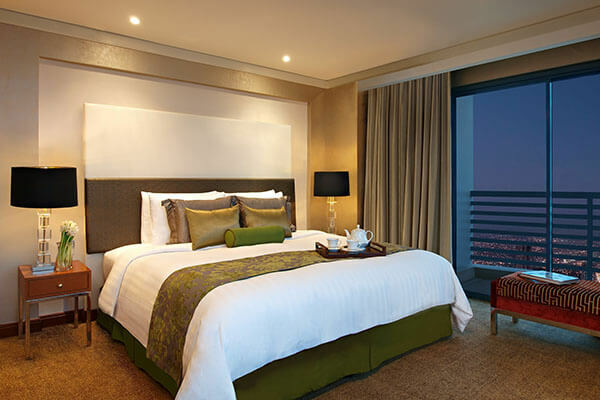 Eastwood Richmonde Hotel is located at 17 Orchard Road, Eastwood City, Bagumbayan, Quezon City. Richmonde Hotel Iloilo is located at Megaworld Boulevard cor. Enterprise Road, Iloilo Business Park, Mandurriao, Ioilo City. For more information, you may call (632) 638-7777 for Richmonde Hotel Ortigas, (632) 570-7777 for Eastwood Richmonde Hotel and (63 33) 328-7888 for Richmonde Hotel Iloilo. You may also visit www.richmondehotels.com.ph. Getting in shape shouldn’t be a seasonal activity that happens only before summer or the holidays. keeping fit and healthy should be a year-round habit you owe yourself. The challenge is in taking the first step by selecting the best exercise program that will not only fit your schedule, lifestyle and budget, but more importantly, be enjoyable for you. 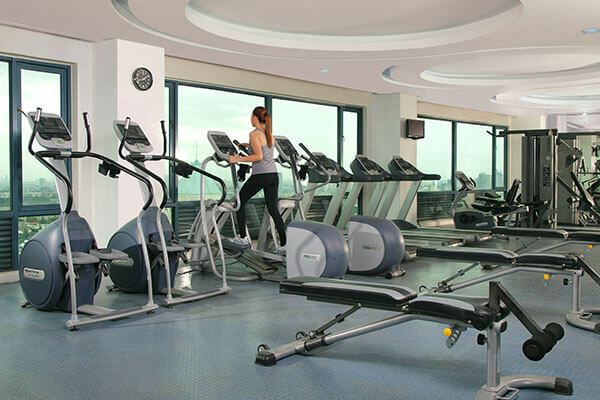 If convenience and exclusivity are your prime considerations in choosing a gym, then you can look to Richmonde Hotel’s fitness clubs for your hassle-free workout. In Manila, easily accessible from the Quezon City, Pasig City, Mandaluyong City, Taguig and San Juan areas are Eastwood Richmonde Hotel and Richmonde Hotel Ortigas. Membership is limited so members don’t have to worry about crowds. What’s more, both hotels employ professional fitness trainers to provide you with personalized assistance, including sound, scientific, and effective exercise programs to help you reach your fitness goals. 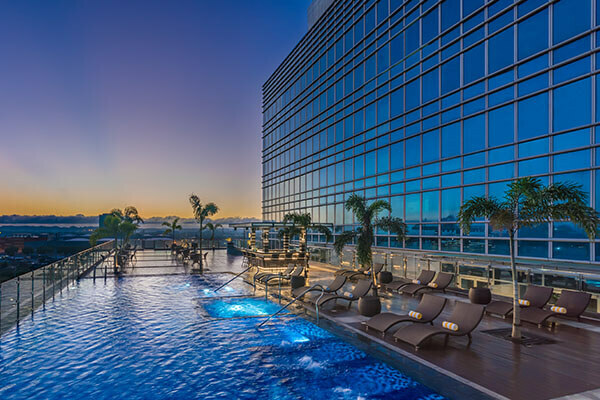 If relaxation is what you’re looking for, you can enjoy a calming experience at Eastwood Richmonde’s outdoor rooftop swimming pool or Richmonde Ortigas’ heated indoor pool, both away from the hustle and bustle of the city streets. The complimentary use of the sauna inside the locker rooms will also be a welcome treat after an intense gym session. Annual memberships include a full year’s unlimited use of the gym, pool and locker facilities. Semi-annual, Quarterly, Monthly, Group and Pool Membership rates are also available. For more details about the membership programs available, call Eastwood Richmonde Hotel’s Fitness Center at (632) 570-7777 and Richmonde Hotel Ortigas’ Health Club at (632) 638-7777. 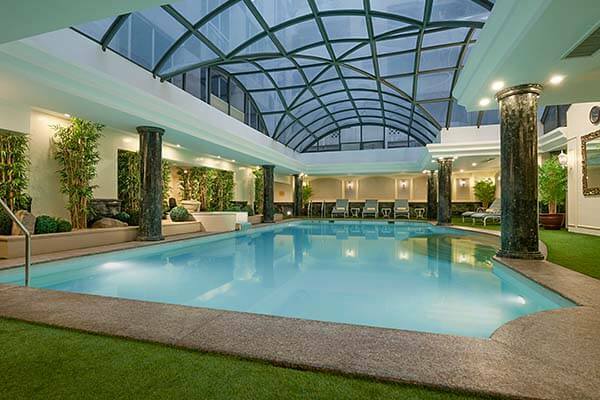 In Western Visayas, Richmonde Hotel Iloilo recently opened its gym and outdoor pool. Although the gym, at present, is exclusively for the use of in-house guests, walk-ins are welcome at the pool for a day rate of only PhP 500 per person. This includes use of the pool, towels and shower area. This special promotion is valid only for a limited time and is subject to space availability. For inquiries, you may call (63 33) 328-7888. Eastwood Richmonde Hotel is located at 17 Orchard Road, Eastwood City, Bagumbayan, Quezon City. The hotel is also accessible from the 2nd floor of the Eastwood Mall. Richmonde Hotel Ortigas is located at 21 San Miguel Avenue, Ortigas Center, Pasig City. Richmonde Hotel Iloilo is located at Megaworld Blvd. cor. Enterprise Rd., Iloilo Business Park, Mandurriao, Iloilo City. For more information, log on to www.richmondehotels.com.ph.